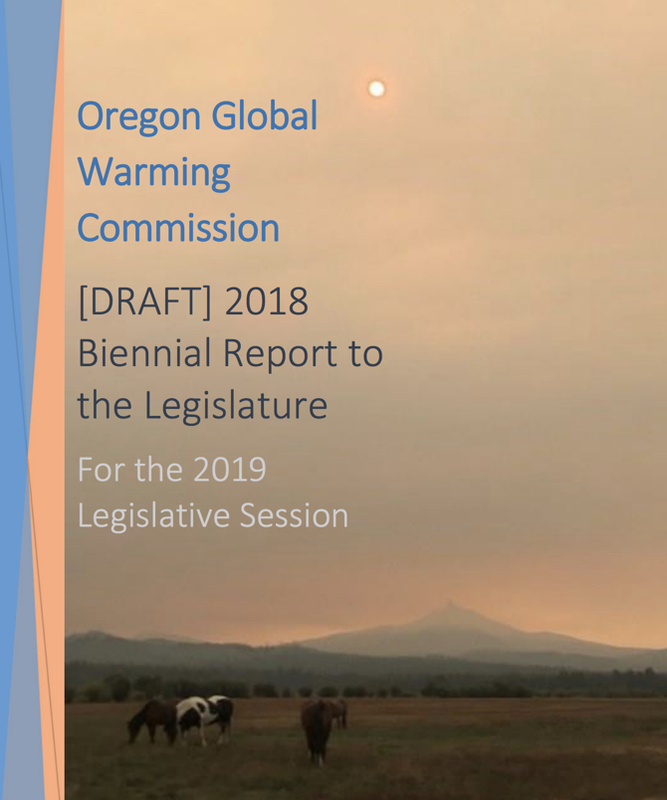 The Oregon Global Warming Commission met this week to review the draft of their 2018 Biennial Report to the Legislature. The Commission, created in 2007 to provide oversight on Oregon’s greenhouse gas reduction strategy, detailed that despite our current efforts, Oregon is struggling to make progress, and has actually seen an increase in emissions in recent years – the majority of it coming from the transportation sector (making it all the more notable that the transportation seat on the commission is currently vacant). Duncan’s concern is based in part on the fact that Oregon is no longer seeing a downward trend in emissions, with more than half of the recent increase due to gasoline and diesel. 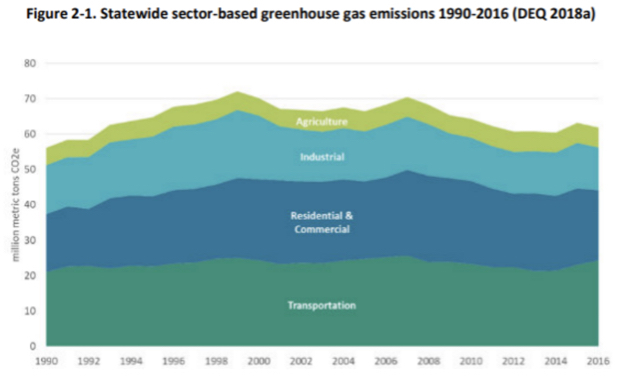 From 2014 to 2016, transportation emissions increased from 35% to 39% of Oregon’s total, while electricity decreased from 30% to 26% during the same period. So where do we go from here? The answers come from ODOT’s own projections. 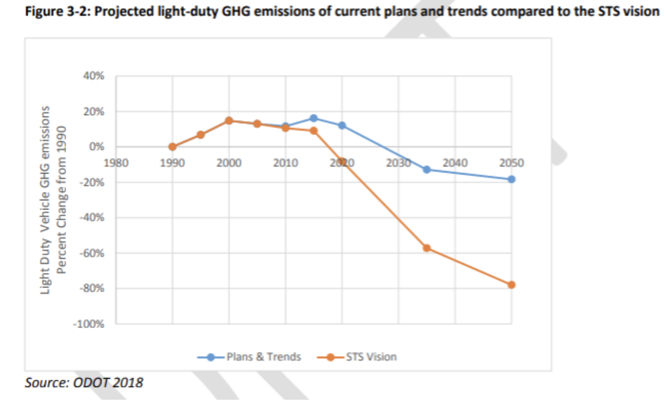 In 2013 they modeled a Sustainable Transportation Strategy (STS) that, if fully implemented, would reduce all transportation emissions 60% [of 1990 levels] by 2050, and light-duty passenger vehicles by 80%. A 2018 monitoring report done by ODOT shows that we have deviated significantly from this vision, and will likely achieve a 15-20% reduction by 2050 instead. Several assumptions from their 2012 model have changed: lower fuel prices, strong economy and population growth, and a slower transition to more fuel efficient vehicles than anticipated, with Oregonians hanging onto their vehicles for an average of 12 years. The report points out that when the STS came to the Oregon Transportation Commission (OTC) in 2013 was “accepted” instead of the stronger “adopted”. 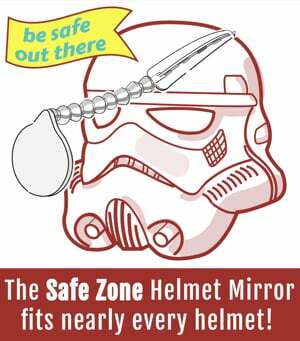 As a part of the 2018 Oregon Transportation Plan the STS strategies were formally adopted but still have no legal framework for enforcement. — Initialize mechanism for true-cost pricing. True-cost pricing, an important piece of incentivizing other less carbon intensive modes, is still in the future. A few fees from the STS are being considered, such as congestion pricing and pay-per-mile (via the OReGO program) but could still be several years away. A greenhouse gas emissions cap expected to be considered by the Legislature in 2019 is one mechanism to capture true-cost pricing. There is no critical analysis of whether that bill was ultimately aligned with the goals of the Commission or of its estimated impact on transportation emissions. Also not mentioned was the Oregon Public Transportation Plan which was adopted by the Oregon Transportation Commission last month. 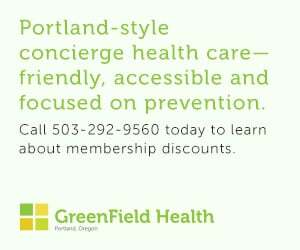 It’s going to take a lot of action from ODOT and legislators to push the GHG emissions needle in the other direction. This report — and Duncan’s call for bold leadership — should be a wake-up call for advocates of all stripes. You can learn more about the Global Warming Commission on their website. Read the full Draft Bienniel Report to the Legislature here (PDF). 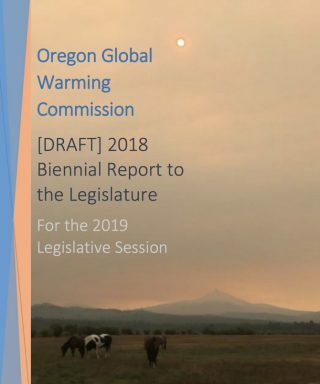 The post Oregon Global Warming Commission releases draft report to legislature appeared first on BikePortland.org.